Give the perfect gift! 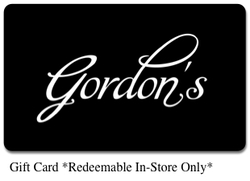 Our Gordon's Gift Cards are available in any denomination. or you can choose your amount.